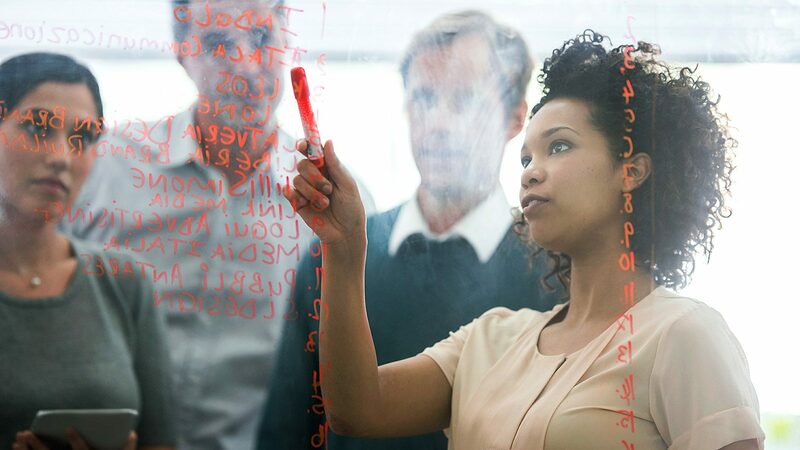 A shifting education landscape demands a different kind of leader. 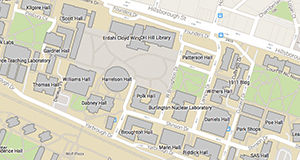 That's why we've redesigned our Ph.D. programs. We're accepting applications for fall 2018. We in the College of Education have reimagined the Ph.D. Our focus is on forging exemplary scholar leaders: teachers, counselors, professors, administrators and policymakers who master the content of their disciplines and are prepared to lead and manage change in a diverse society and a digitally connected world. The scholar leader Ph.D. graduate will be prepared to lead and influence policy decisions at the local, state, national and international levels to solve the grand challenges of education. 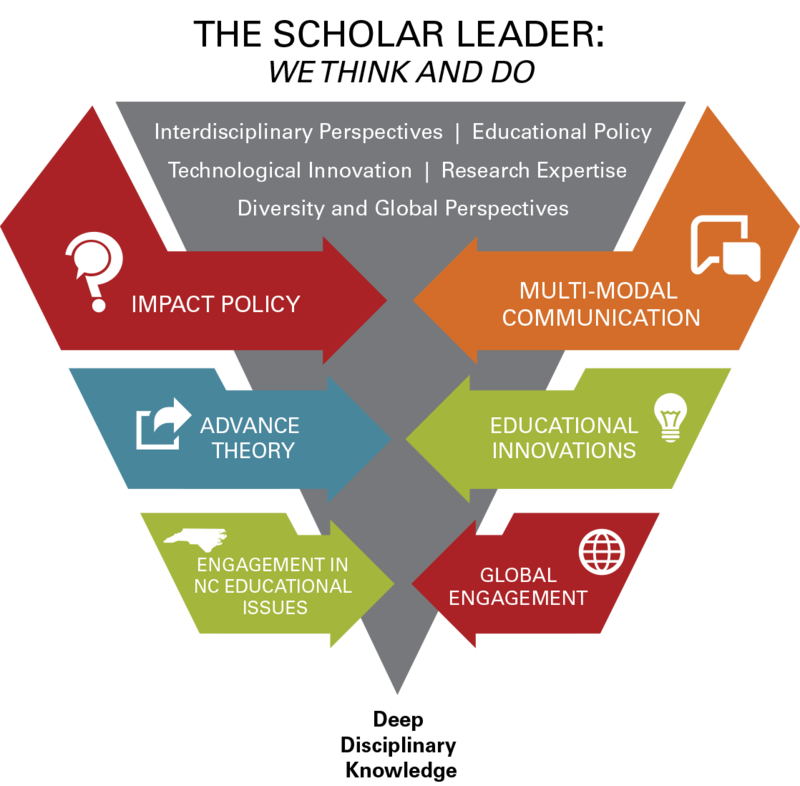 The program is developed around NC State’s strengths in technological design, innovation, research-scholarship, community engagement and social entrepreneurship. The doctoral experience will be within a rich culture of inquiry, evidence and action. The scholar leader Ph.D. programs capitalize on NC State's strengths as a hub of technology, innovation, outreach, research and entrepreneurship. Throughout the doctoral experience, the aim of each program is to develop a culture of inquiry, evidence, and action in our graduates. Course sequences and structured learning experiences are designed so that full-time students complete their degree programs in four years or less, and part-time students in six years or less. 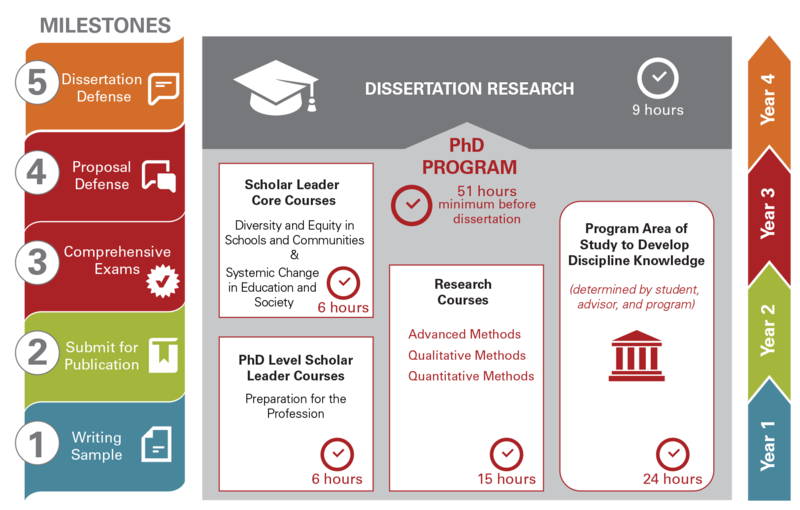 Redesigning these three Ph.D. programs involved a fundamental rethinking of the competencies needed for educators, counselors, teacher educators, leaders, researchers and policy makers. Our Ph.D. programs prepare scholar leaders who will be future-oriented, able to rethink the goals of education, and capable of leading and managing change in a diverse society and digitally and globally connected world. 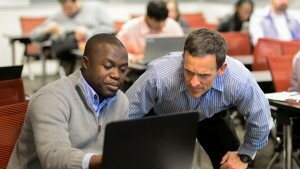 These three programs prepare scholar leaders. 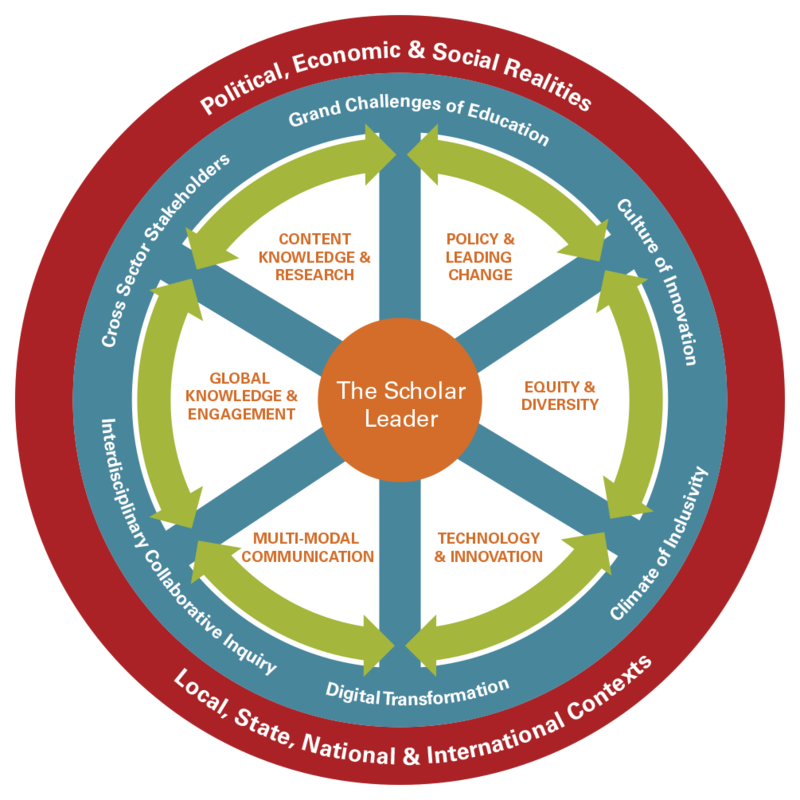 The scholar leader is a broadly educated individual with deep content knowledge in at least one specialty area and skills in research, policy, equity and diversity, technology and innovation, global understanding and impact, and multimodal communication (Danowitz et al., 2015).